Replacement referees will continue into the regular NFL season. 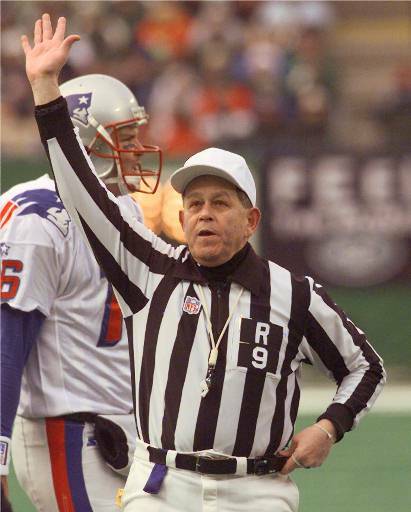 Former NFL referee Jerry Markbreit is concerned about players' safety with replacement refs. The Chicago Bears will see some unfamiliar faces on the field when the season starts Sunday, September 9th. That&apos;s becasue the labor strife between the National Football League and its referees will continue into the regular season. In a memo sent to all 32 NFL teams by the league&apos;s executive vice president for football operations, the NFL warned that replacement refs will be used in the first week of the 2012 season. The replacements have undergone extensive training and evaluation, and have shown steady improvement during the preseason. We will continue the training with each crew and they will work as much of the regular season as necessary. The replacement officials are dedicated and enthusiastic, have worked very hard to improve, and have persevered despite the attacks on their qualifications and performance. We are all grateful for their service to the NFL. Obviously the game is going to speed up, the demand on the referees increase, the physical strain on our players’ increases exponentially, and you&apos;re facing a situation where the league has made an affirmative decision to remove the people that we consider to be the first responders to safety on the field. It&apos;s rather obvious that the only people on the field who are not competing, who remain objective to enforce the rules, to ensure that the players remain safe, are the referees. 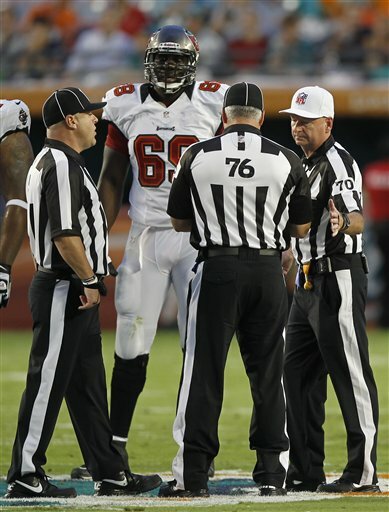 The replacement refs, Markbreit said, "will not be able to recognize and control the game." Watching the pre-season games he said he saw several penalties missed — hits on quarterbacks and helmets to chests. “I saw a quarterback tackled around the neck and slammed to the ground,” he said. Markbreit doesn’t believe the replacements referees will be able to control players who want to take advantage of the situation once the regular season gets underway; the pre-season, he said, is much less intense than what we’ll see next Wednesday when the NFL kicks off the year. The union looks at the addition of 20 rookie referees as a quick way to dilute quality and the shared earnings of 120 present members. The league says they want to inject more officials into the league and give more rest to some crews, as well as the ability to replace refs. “One of our key goals in this negotiation is to enhance our ability to recruit, train, and replace officials who are not performing adequately,” the league said. But the issue of pensions seems to be a real sticking point, with the NFL wanting to freeze and eventually end the present plan for one that is contribution-based. The perception that NFL refs only work three hours every week for 20 weeks is erroneous in Markbreit’s eyes. “This is a full-time job for seven months of the year masquerading as a part time job,” he said. The referees go to clinics and training camps, view videos, take exams and spend a lot of time on the phone. “It takes over your life,” said Markbreit. For now, the ball is, so to speak, in the NFL’s hands.